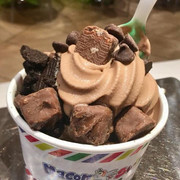 Macon Swirls is a popular ice cream shop and catering service in Macon, GA, that has been operating since 2016. We offer a wide array of delicious desserts at our Ice Cream Shop including Frozen Yogurt, Italian Ice, Gelato and much more. We pride ourselves on the excellent service we provide to our customers and our affordable rates. Our food is prepared with the freshest ingredients from classic favorites to creative new varieties, we have something for everyone. Whether you want a towering ice cream sundae, a gluten free frozen yogurt or to use our catering service for your next special event in Macon, GA, call on Macon Swirls, we look forward to serving you. What is the next great delicious treat next to ice cream? That would be frozen yogurt of course! 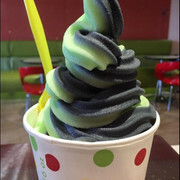 Come on down to Macon Swirls to try our delightful frozen yogurt! With our array of ice creams to try, you’ll stay cool all year round! Get to tasting today! 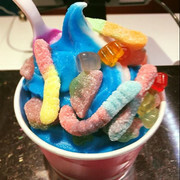 With our selection of frozen yogurt flavors, you can create a mouthwatering masterpiece with our flavorful toppings! With our friendly environment, we welcome you, your friends and family to take part in trying our scrumptious treats! Who doesn’t love a great refreshing cool treat? Have yet to discover the deliciousness of Italian ice? Bring your friends along for an exhilarating experience of tasting our great Italian ice! You know what you’ve been missing until you try it! From our selection of frozen desserts, you and your friends will have the perfect hangout place for all summers to come! Once you try all of our delectable desserts, you’ll have more than one favorite! Come on by today!